30+ members in attendance, several guests and new members as well. 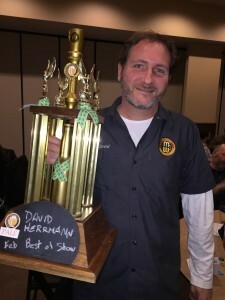 Would truly love to see more PALE members enter homebrew competitions. Please consider one of the upcoming competitions. 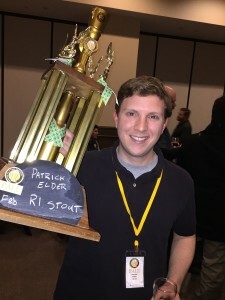 February 8th Application DEADLINE : 2015 National Homebrewers Competition. Shipping to arrive before March 11th – First Round Judging – March at Hopvine. Survey and more information coming soon. Keeping in touch with current and former members that have gone on to professional gigs. Hopvine – (Ken) Ukranium Krusher released (Thurs) – will have a multi-year vertical soon. several events with Marty Nachel and Ashleigh Hayden (New Belgium) coming. Nevins – (Marc) has new release Midnight Sun, a collaboration brew with Lake Effect. Brew Bag – (Rex) now delivered to 16 countries – and over 1000 invoices. Werk Force / Brew Werks (Brandon/Steve) – 3rd year anniversary last weekend. SMaSH comparison between Pale 2-Row and Marris Otter. Really showed the taste and color difference between two commonly used malts.